Sts. Peter and Paul Parish is located 90 km. east of Edmonton on the CN tracks. The first pioneers arrived in Mundare district around 1898. In the 1930s out of 777 people in the district, 582 of them were Ukrainian residents. With the coming of Fr. Platonid Filas in 1902 the missionary work among the Ukrainian faithful started the blossom. Originally the Basilian Fathers took care of a vast territory to the East (Town of Lloydminster 175 km. ), to the West (Village of Leeshore 65 km. ), to the North (Elk Point195 km.) and to the South (Borshchiw 30 km.). The Mundare district was also known as Beaverlake, a name taken from the lake some distance away to the south. Location: S.20, T.53, R.16 W of the 4 th Meridian. There is an easy access to the church. The church property is incorporated as ‘The Ukrainian Catholic Mission of the Order of St. Basil the Great in Canada.’ One acre of land was donated by Michael Shewchuk. There were 255 children in 1940. There were several organizations in the community: Apostolstvo molytvo (Apostleship of Prayer), Marian League organized by Fr.Sophron Dyakowich in 1928, Sisterhood of St. Barbara organized by Fr. Josaphat Tymochko in 1908 etc. Ukrainian Catholic Brotherhood was organized by Fr. Andrew Truch. There were approximately 100 families that we could call the Founders of the parish. Fr. Naucratius Kryzanowsky was the engine of building a church in Mundare. The district had many opponents of a Ukrainian community: a) so called Seraphymtsi – followers of self-proclaimed leader Seraphym, radical socialists that became communists, b) some protestant movements c) the Ukrainian Russophiles, members of the Russian Orthodox Church, established themselves in and around Mundare: Church of St. Jacob in the town of Mundare, and outside: St. Demetrius by Seredyaks – 3.2 km., St. John the Baptist by Farus – 5 km., St. Michael by Caraboo – 6.4 km., and Dormition by Shyshkovtsi – 8 km. In addition in 1912 they started publishing Orthodox Rusyn (Pravoslavnyi Rusyn (Ukrainian)) and founded the first residential school. To boycott the Ukrainian Catholic church feasts, large groups of Orthodox clergy were intentionally invited to conduct processions in the town. This type of embarrassing conduct of the Russian orthodox people was not enough to take away our faithful. Instead it made them stronger and much more dedicated to their Ukrainian Catholic church and the Ukrainian nation. The first church (50” x 30’) was built in 1910: contractor Danylo Chornyi and architect Roland W. Lines. The cost of building the church was approximately $4,500.00. The cornerstone was blessed by Fr. Naucratius Kryzanowsky and Fr. Matthew Hura on August 8, 1910 in the presence of many people and the Prime Minister of Canada, Wilfred Laurier. The church was consecrated by the Primate of the Ukrainian Catholic Church, the Metropolitan of Lviv, Ukraine, His Grace Andrey Sheptytsky on October 23, 1910. The first canonical visit was held by the first Ukrainian Catholic bishop Nykyta Budka, followed by yearly visits of our bishops in Canada. In 1928 the church was too small and had to be enlarged by Luke Koss costing $7,000.00. 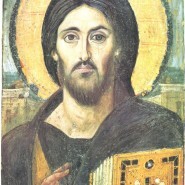 In 1938 the inside painting was done by P. Lypynsky. On April 7, 1941, shortly before the Easter celebrations, a fire broke out in the church. The Insurance Company reimbursed the damage, and the building was extended by 3 m., so the church was now 38 m. long. Artist P. Lypynsky repainted the damaged paintings. The church, preserving the Ukrainian architectural tradition, was well known by Ukrainians in North America, and many non Ukrainians enjoyed visiting the church, always admiring her beauty and originality. For many years Mundare served as the Provincial center of the Basilian Fathers in North America. Basilian Fathers who served as parish priests in Mundare: Fr. Platonid Filas (Dec. 27, 1902 to Jan. 9, 1905); Fr. Athanasius Filipiw (Jan. 13, 1905 to Dec. 26, 1906); Fr. John Chrysostom Tymochko (Dec.26, 1906 to Dec. 10, 1909); Fr. Naucratius Kryzanowsky (Jan. 1, 1910 to 1932); Fr. Athanasius Filipiw (1933-1937); Fr. Neil Savaryn (1938-1943); Fr. Ambrose Wynnyk (1943-1944); Fr. Volodymyr Shewchuk (1944-1949); Fr. Vital Pidskalny (1949-1952); Fr. Nicon Swirsky (1952-1953); Fr. Victor Soroka (1954); Fr. Peter Hrabec (1955-1958); Fr. Basil Kamenetsky (1959-1960); Fr. Eugene Kushko (1961-1964)); Fr. Vital Pidskalny (1965-1970); Fr. Raphael Melnyk (1970-1973); Fr. Justin Ewaschyshyn (1973-1976); Fr. Damien Weleschuk (1976-1982); Fr. Myron Chimy (1982-1983); Fr. Harry Boretsky (1983-1986); Fr. Lawrence Huculak (1986-1997); Fr. Paul Chomnycky (1998-2000); Fr. Ignatius Holowaychuk (2001- ); Fr. Serafym Grygoruk (2008- ). Many other Basilian Fathers were also helping out over the years. The Grotto in Mundare took many years to be build, thanks to the efforts of Fr. Porphyrius Bodnar and the Basilian students and brothers. Starting from 1932 and up to the present day, it is the center of the great pilgrimage on the feast of Sts. Peter and Paul, where thousands of our faithful gather each year. National hall (Narodnyi Dim) was opened in 1917 for all cultural activities of the community. The building burnt down in 1925 and was estimated to cost $3,000.00. A new solid brick structure was constructed the same year and blessed on October 18, 1925. During the many years this Narodnyi Dim has served as an educational centre for Ukrainian culture, a public forum for Canadian politicians, Ukrainian artists, intellectuals and all Ukrainian members of the Alberta Legislature. 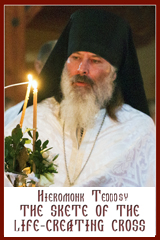 In the years of financial restraint in Canada, our dedicated people collected the following amounts for good causes: to defend our first Bishop Nykyta Budka against false accusations ($300.00); the Metropolitan Fund for the orphans in Ukraine ($678.00), Student residence in Edmonton ($6,000.00); “National loan” ($556.00); Red Cross ($620.00); Mundare hospital ($2,000.00); Carpathian Ukraine independence struggle in 1938-1939 ($709.80), etc. In the walls of the hall the First Congress of the Ukrainian Catholic Brotherhood of Alberta was held in 1933; First Ukrainian Teachers’ of Alberta Symposium in 1940. The National hall always cooperated positively with the church and the clergy in Mundare. The cemetery is located 5 km. south-east from Mundare. The church cemetery also has a section for the Basilian monks and Sisters Servants of Mary Immaculate. Basilian Monastery in Mundare is the oldest Basilian monastery, whose beginnings go back to 1903. The new monastery was designed by Fr. Philip Ruh, OMI in 1922 and was officially opened on July 12, 1922. A novitiate was built one year later. The monastery served for many years as a House of Studies.